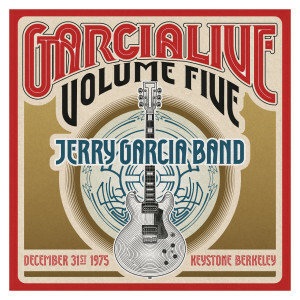 GarciaLive Volume Five: December 31st, 1975 Keystone Berkeley celebrates the Jerry Garcia Band's three set performance at the storied Keystone Berkeley. 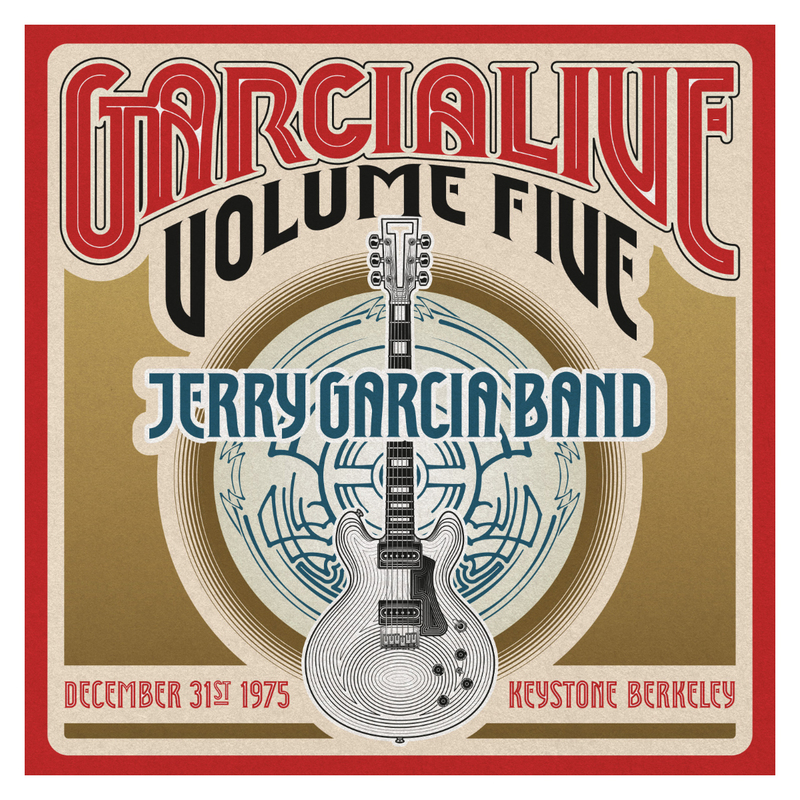 While Garcia celebrated many new years on stage with the Grateful Dead, this performance holds the distinction as the Jerry Garcia Band's lone New Year's Eve appearance. Fresh off a Winter tour which yielded the transcendent performances captured on 2009's Let It Rock live release, Garcia is joined for this performance by mainstay John Kahn on bass, Sly and the Family Stone drummer Greg Errico and legendary rock pianist Nicky Hopkins. Hopkins' accolades are almost too numerous to list, but include a seemingly endless list of collaborations with The Beatles, The Who, and the Rolling Stones, among many others. And what New Year's Eve celebration would be complete without a few friends? Grateful Dead bandmates Bob Weir and Mickey Hart along with Kingfish's Matthew Kelly join the fold for a vibrant evening of music. Highlights are plentiful across this 2+ hour performance. Hopkins shows off his deep musicality with a spontaneous performances of the Beatles' "Mother Nature's Son" and an explosive rendition of his own "Pig's Boogie", featuring an appearance by Matthew Kelly on harmonica, to close the first set. The JGB, now complete with Bob Weir, Mickey Hart and Matthew Kelly, kick off the second set with a raucous countdown to 1976 led by Hopkins complete with a brief rendition of "Auld Lang Syne" followed by an ecstatic "How Sweet It Is" and later a 26+ minute "Mystery Train" suite which features a drums breakdown from Errico and Hart plus an exploratory "New Year's Jam" before returning to the final verse of "Mystery Train." A positively blistering take on the Junior Walker and the All-Stars Motown classic, “(I’m a) Road Runner” closes this stellar show out in fine form. Caveat: The 2 CDs contained herein present the Jerry Garcia Band’s lone New Year’s Eve performance. Originally captured to analog reels and later transferred to digital audio tape, the enclosed recordings have been meticulously mastered for release. While certain minor sonic imperfections impervious to even the latest in digital wizardry remain, rest assured this vibrant performance transcends any inherent limitation in fidelity. Listen comfortably with our promise that every effort was made to produce this performance for release in a manner which honors the spirit of its creation.